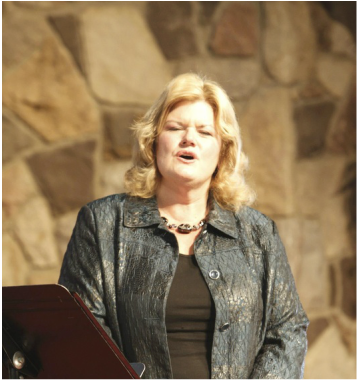 Cheryl Gigler is a graduate of Westminster Choir College, Princeton, NJ, with a BME in Music Education. Cheryl is a certified educator in Indiana, New Jersey, and New York, having taught in both public and private settings. She served as an adjunct professor of voice at Nyack College in New York for several years and has sung professionally throughout Europe as well as in the New York Metropolitan Area in recital, oratorio, and opera. Diagnosed with ADHD ten years ago, Cheryl became a Certified ADHD Life Coach and founded ADD Joy of Life Coaching, LLC. ADD Joy of Life Coaching is a strength-based company, dedicated to empowering young people and adults with ADHD - bringing hope through education, resources, and community. As an ADHD coach in Fort Wayne, Cheryl works with clients one-on-one, either in person or by phone, supporting them in creating a daily customized plan for success. Cheryl teaches a seven-week skills class for adults with ADHD based on the research study, "The Efficacy of Coaching Adults with ADHD", and was a research assistant for this study. As a Certified Parent2Parent Teacher through CHADD (Children and Adults ADHD Advocacy Organization), Cheryl leads the outstanding seven-week Parent2Parent course, held at Parkview Regional Medical Center. Cheryl started and facilitates The Allen County CHADD Satellite Support Group, a monthly adult ADHD support group at the Parkview Healthy Living Center. In addition, Cheryl is a contributing author to the ADHD Awareness book series: More Ways to Experience Success with ADHD, and Inspirational Stories of Success with ADHD, both on the Amazon best-seller list. Cheryl is VP of the Board of the Fellowship of Christian Counselors and is a community-based provider for Choices, Inc. of Indiana.